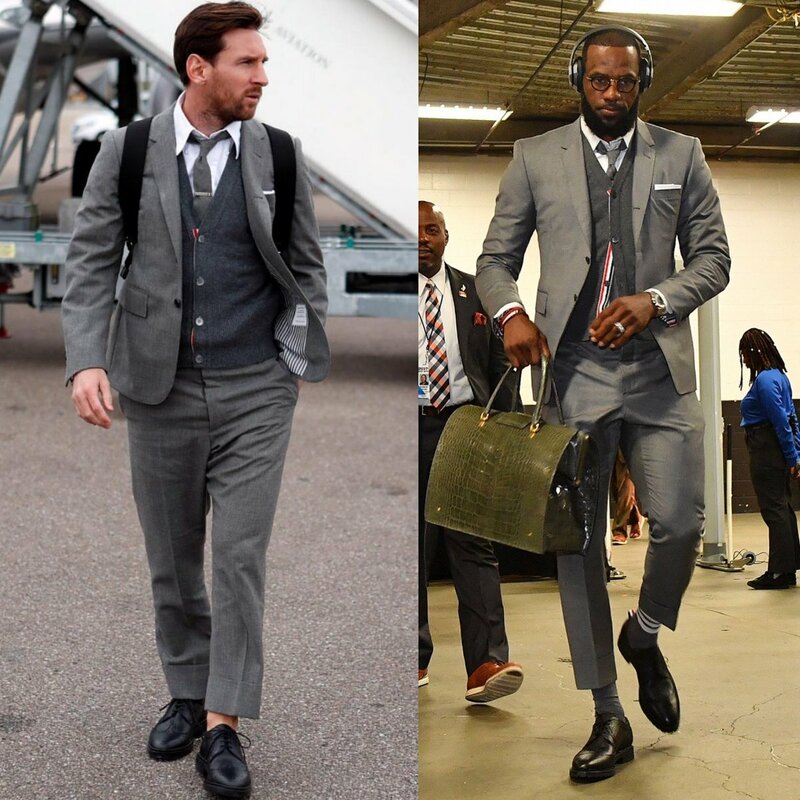 Star Footballer Lionel Messi and his FC Barcelona squad will now don Thom Browne threads as their “Travel Suits” for European away games. According to ESPN: “The agreement will see Browne become the official provider of Barca’s “off-field tailored fits and formal-wear uniforms” for the next three years. 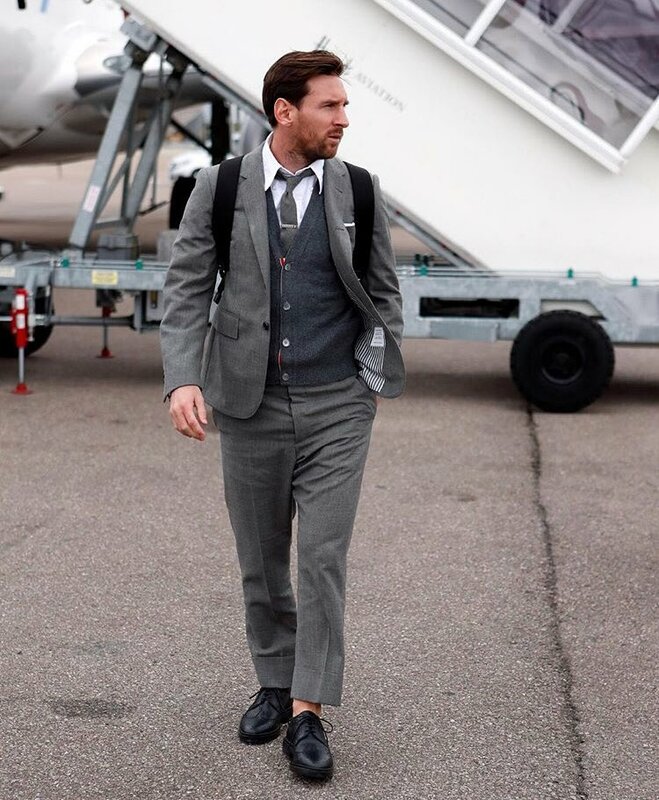 FC Barcelona team debuted their new gear on Tuesday as they prepared to fly to London for an away game. 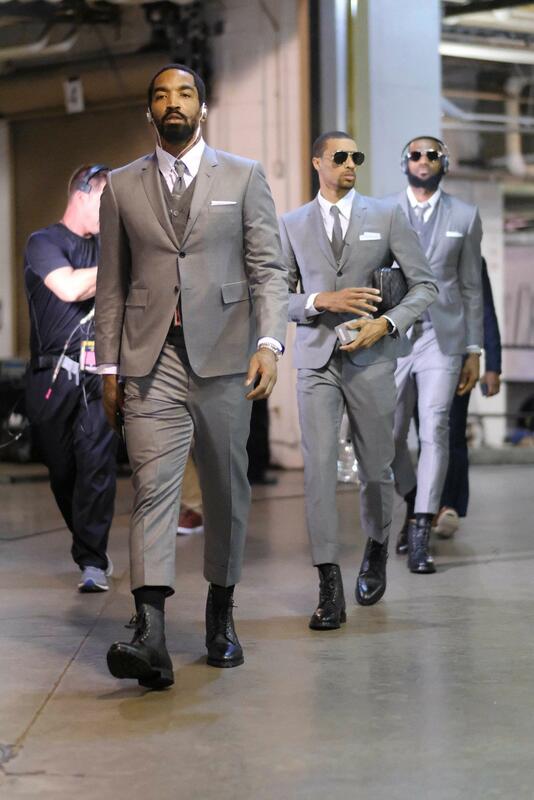 If you recall, Lebron James and the Cleveland Cavaliers wore Thom Browne suits throughout the 2018 NBA Playoffs. 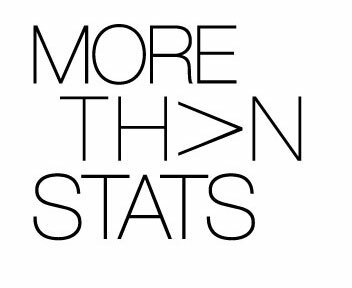 We wonder if that collaboration sparked an interest by FC Barcelona to team up with the NYC-based brand. 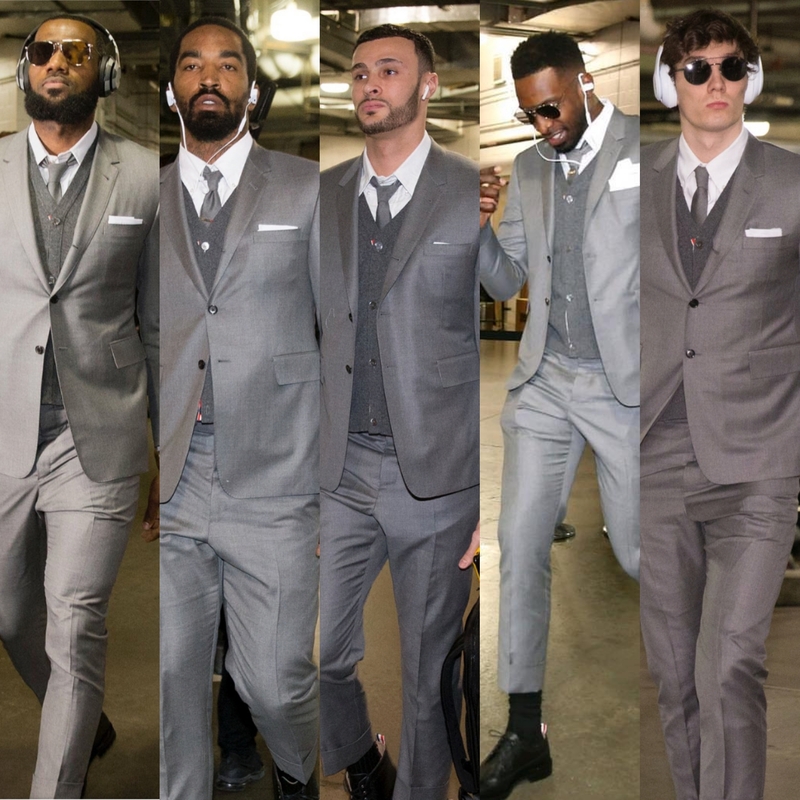 Which squad you think wore it best? FC Barcelona Or Cleveland Cavaliers. ✈ London, there we go!